This Burt Bacharach Hal David song is a good example of the transmutation of the Blues lyric into the more specific love song. As a Blues, the singer, because of his/her general condition, and or specifics like poverty, illness, liquor or violence, would wake up with the blues, in fact would probably go to sleep with the blues, and after waking up in the same condition, find the blues not only in their bed but in their breakfast and worst of all: inside their head. 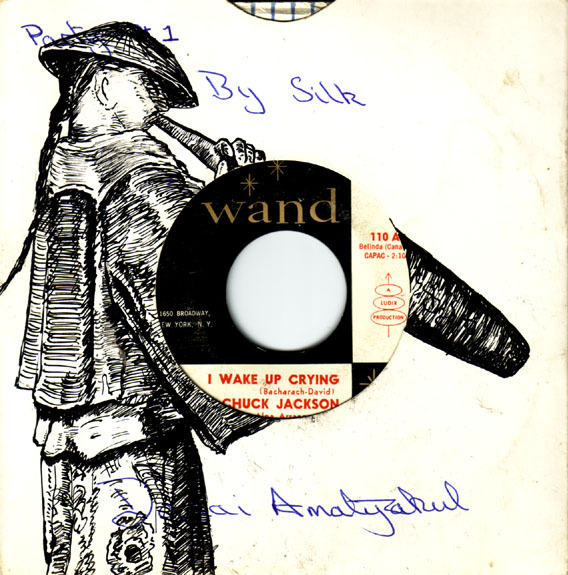 Chuck Jackson on this fine early Soul cut wakes up crying, "after tossing and turning and yearning the whole night long " he has lost the one he loves and what exacerbates his condition is: he doesn't know why.